2K polyurethane adhesive and repair material with a 5 minute work time. 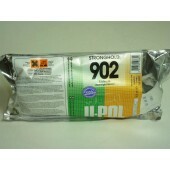 Ideal for structural repairs & assembly. Also acts as a full bodied seam sealer.